I made these for the kids the other day and I couldn’t believe something so simple could entertain them for hours! How funny is the Iron Man face in the top right corner!? 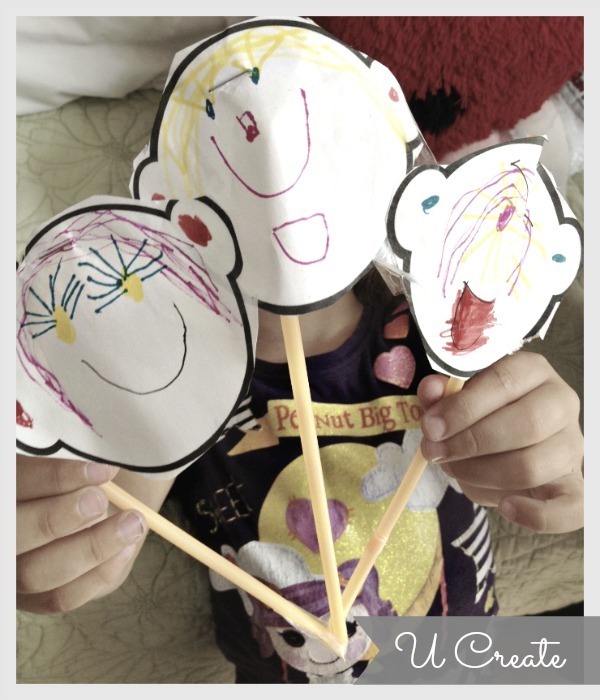 I also gave some faces to Becky’s kids and they turned theirs into these fun puppets by taping them on plastic straws! 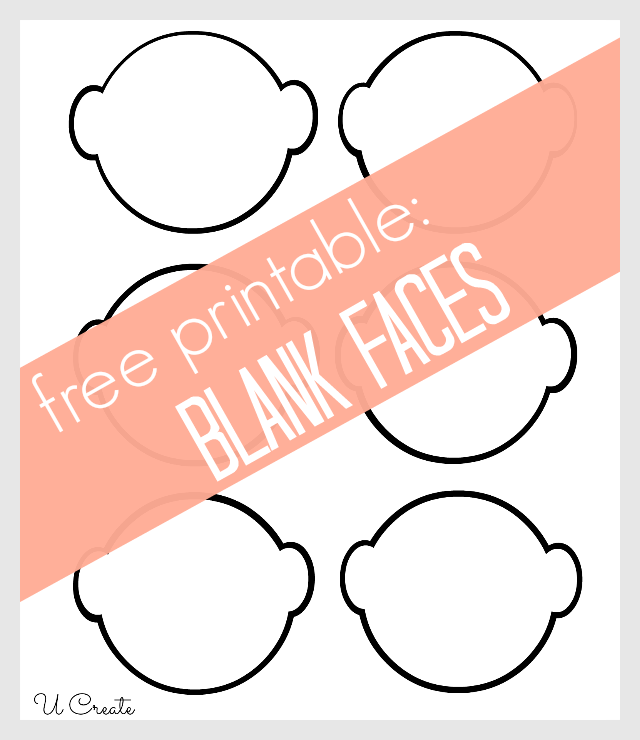 Download your free copy of Blank Faces Free Printables today!! Next Post: Reversible Fat Quarter Potholders by Create. Craft. Love. 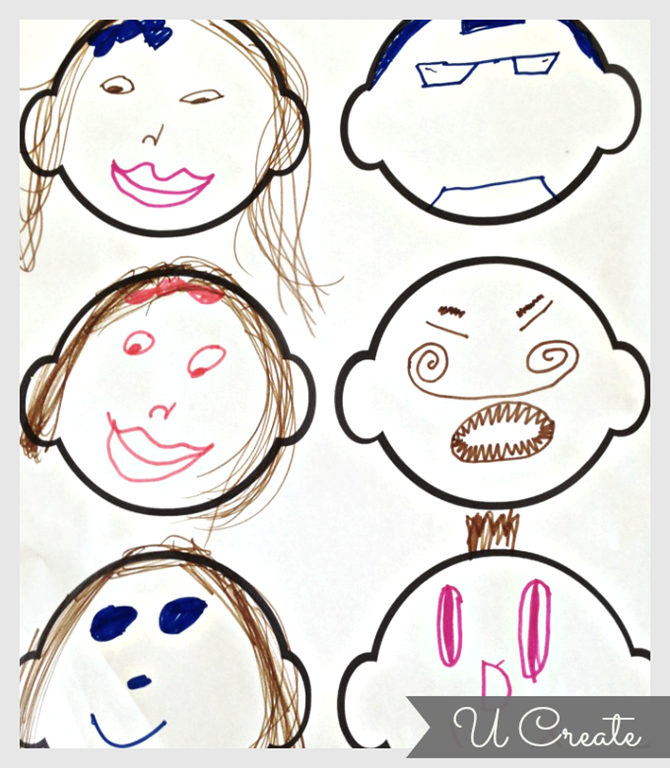 I enjoy kid’s drawing! hope you share more in some other blogs! We sure enjoyed seeing their creativity with a completely blank slate. Look for more to come! How sweet! I so LUV to see what goes on inside children’s minds! They are so imaginative & expressive! I like what you have done by puffing them up & putting them on a stick. How fun!! Thank you for a sheet of our own! I’m going to have some fun when my nieces come to visit next week! We are so glad you love them. Enjoy and watch the kids create! Awesome, just what I needed for our road trip. I downloaded it, printed it and laminated it. My 2 year old has already filled in the faces with her dots and smiles. Maybe on the road it will keep her busy too. Thanks a bunch! Excellent activity for my first day with my students, we´ll learn moods! Thanks.